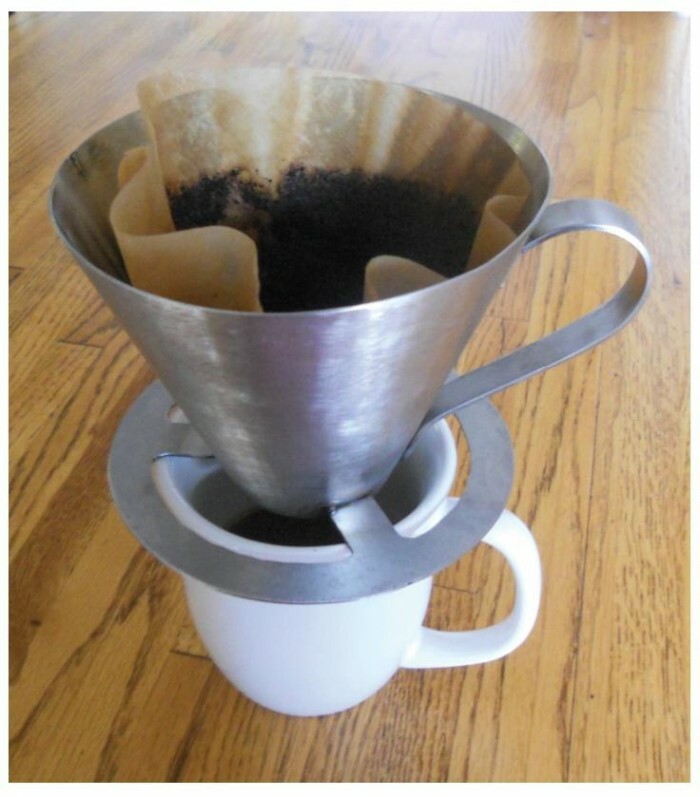 A method for fabricating a manual drip coffee cone from sheet material is comprised of three general steps: In the first step, a conical body 1 is formed from sheet material in the shape of a truncated cone to hold a coffee filter. 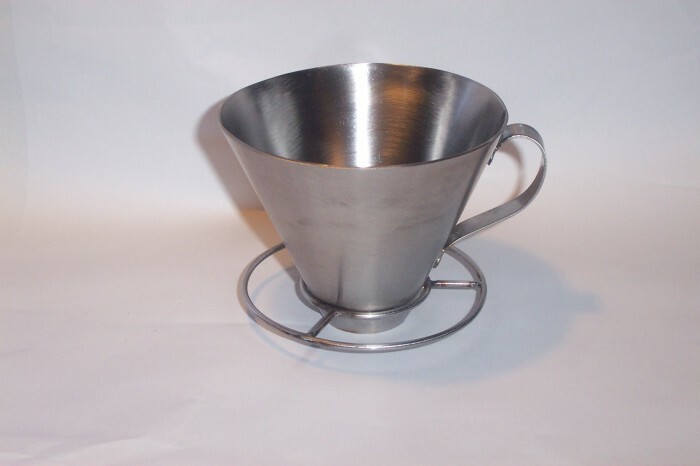 The base of the conical body 1 forms a drip ring 2, which directs dripping coffee into a receiving vessel and prevents the cone from slipping off the vessel. 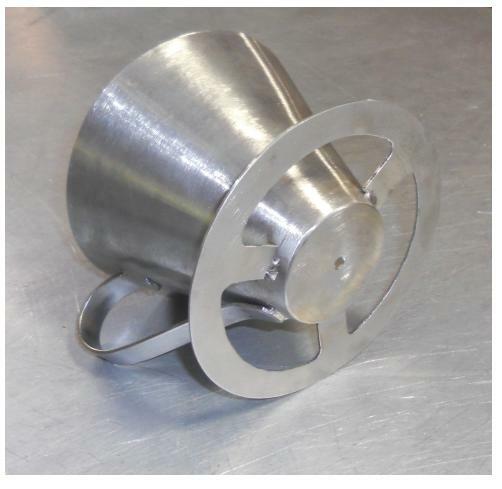 In the second step, a drip plate 3, having at least one drip hole 4, is fixed to the inside of the conical body 1, near the drip ring 2, to form a drip plate 3 at a short height above the drip ring 2 to provide maximum headspace for effective drip filtration. 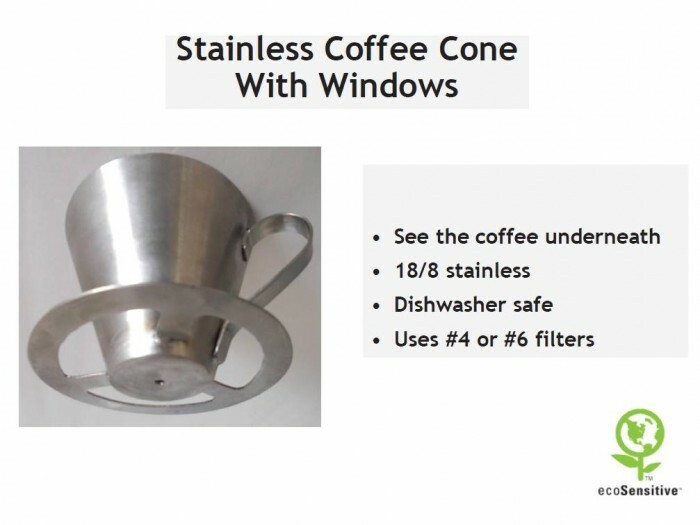 In the third step, a flat ring collar frame 5 having minimal support components is attached to the outside of the conical body 1 near the same height as the drip plate 3 in order to support the cone to sit on top of a receiving vessel to allow a user to see through to the receiving vessel beneath the cone so that the user can view the rising level of coffee inside the vessel below. 3) CAD design drawings and specifications. History: Item has never been licensed, manufactured, nor marketed. 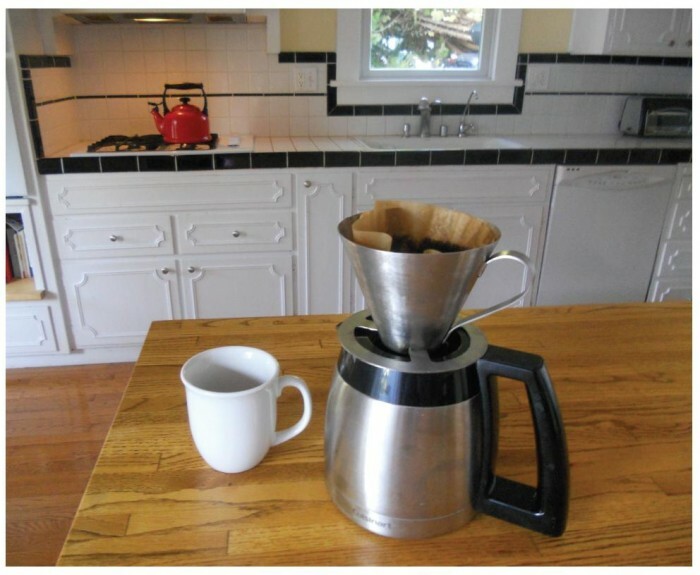 Competitors: A few similar products almost approach infringement, but have not achieved this patent's far superior design for a drip cone that has an actual see-through frame allowing the user to see the level of coffee inside the cup or carafe below it. 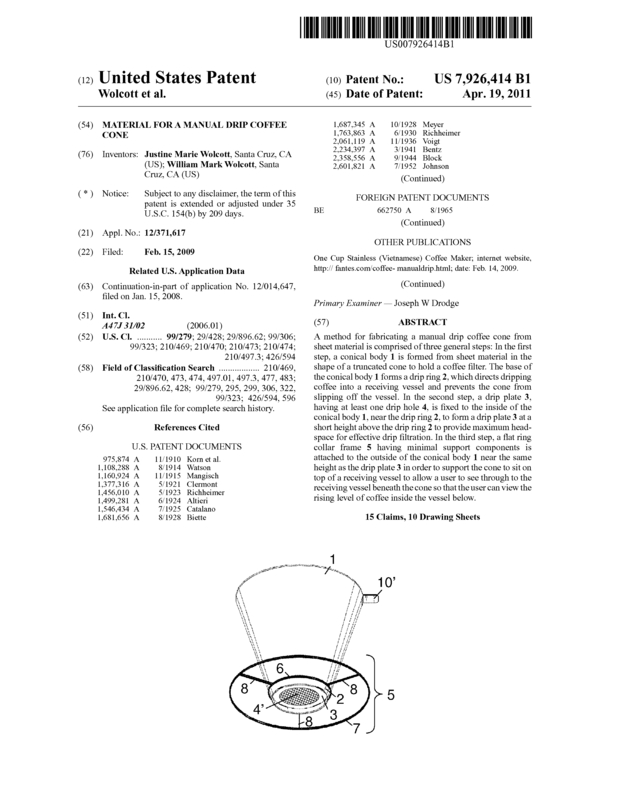 Page created at 2019-04-21 4:18:49, Patent Auction Time.